The weapons of our warfare are not for physical battle. Paul tells us that our weapons are for the demolishing of arguments and every vain imagination. I have often talked about overcoming the lies we believe about God, ourselves, and others. In fact, realigning our beliefs toward what God says about these things is the majority of what I talk about. However, this second part of the battle, gaining control of our imaginations, is not addressed as much. We need to know how to stop imagining things and how to stop negative thoughts. Still, there are two main reasons to work on how to stop imagining things. What we imagine becomes what we do. What we imagine becomes what we believe. James shows us in this passage how to fight sin. Temptations are not some outward force being pushed onto us, but they are birthed from something within us – our negative thoughts. There may be some outwards forces that lure us to consider sin, but those temptations that find fertile ground in our negative thinking are those that grow and motivate our actions. I used to think that my obsessive thinking was not a problem because it was just thoughts in my head. I wasn’t hurting anyone. As I was imagining things, I wasn’t acting out on them. James says we need to avoid negative thoughts because dwelling on them creates space for them to grow and becomes our temptations… and eventually our sin. This passage has put fear into many men. But, if Jesus came to bring freedom, why would He make things harder? This verse and the corresponding passage about murder are instructions on how to find greater freedom. While the implications of this passage is weighty, it is not intended to create greater guilt, but to highlight the dangers of our imaginations. If we let our thoughts linger on evil, we will train our hearts to want it. If you want to live in purity, stop evil at the source – control your mind from unwanted thoughts. Seeing how our vain imaginations can hinder our relationship with God, the next question is how to get yourself to stop. There are three steps to gain control of thoughts. Realize not all imaginations are leading you from God. Overcome negative thoughts with good. 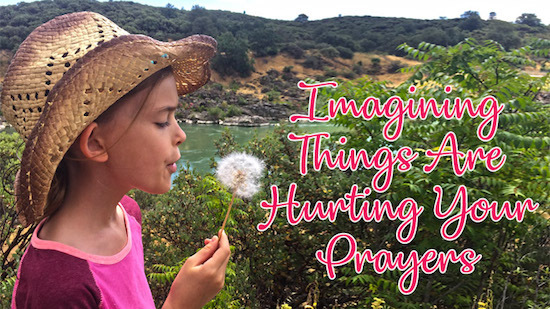 Find out what is encouraging the evil imaginations. The things you let your mind dwell on are the things you train your heart to want. Therefore allow your mind to linger on things above. Allow God to lead and guide your imaginations. If God can do immeasurably more than we can ask or imagine (Ephesians 3:20), then let’s get God to help us to imagine more. Our minds are made to think and imagine things. It is using our imagination that we think of new solutions to problems and we gain new hope for our current situations. However, our negative thinking can also lead us to sin or fall into deep despair and depression. We fight off those vain imaginations by working with God to imagine the good He can bring about (Romans 8:28). It’s not that we really want to stop our imaginations; we just want them to start working for us. I have found declarations help reset my mind on the things I want to think about. Tell yourself the truths of Scripture about yourself, about God, about your situation. Remind yourself of those things God has shown you in prayer. Think how you would live if you truly believed them to be true. 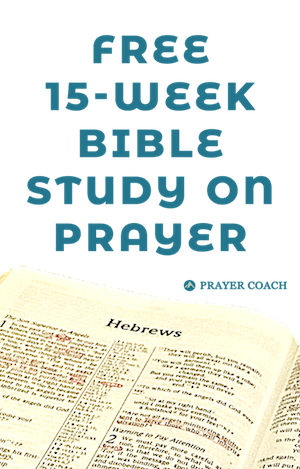 This new focus of your thinking can actually improve your prayer as you increase your faith in what God may do. I used to have violent nightmares. They would wake me up with a start and my heart would be pounding. I feel God showed me that I needed to stop watching violent movies. By cutting those out, I virtually stopped all my nightmares. There were times that I would still fantasize negative things happening, and in them I would beat, maim, or kill the person doing evil. When I caught myself imagining these things, I would change my thinking to something else. However, the fact that I kept reverting to these negative imaginations was revealing something in me that allowed those thoughts to take root. In this situation, it was showing that I didn’t fully trust in God’s protection of me. If I were to be truly safe, I thought I would need to be stronger, faster, or smarter than the enemy. I assumed bad would eventually happen, and I needed to be prepared. I didn’t trust God to protect me. There is no need to dissect every bad thought, but if you are having a difficult time stopping negative thought patterns, then get with a trusted friend and talk it through and ask God about them. What would life be like if evil could not happen in my presence because I brought God with me? How can I get to the place in my life where I trusted His protection? Tell someone your unwanted thoughts. Bring them into the light and replace them with those heavenly things, things that are good, excellent and praiseworthy. You are made for the things of God; allow your mind to imagine what those things are and how to make those things happen. Is there anything you would add? Please share them in the comments below.